Yet, despite the seemingly urban nature of my childhood environs, it endures as an idyllic scene. We had vast acres of open fields to explore (fields of wild strawberries, to be exact). We had the huge expanses of lushly green playgrounds to romp in. Even two of the three elementary schools I attended featured infinite (or so it appeared to someone below the age of ten) undeveloped grounds filled with sweet smelling wildflowers. That both ended abruptly with the mainline tracks of Class One railroads never struck me as odd. Quite the contrary, the vivid memory of those diesels chugging along through the foreground of overgrown weeds remains picture perfect to this day. Of course, today virtually none of this picture exists. Continued “improvements” have zapped the cultural vitality of what was once an honorable melting pot of classic Americana. Roads were widened, taking away much of the character of the neighborhood. Once proud buildings were allowed to atrophy and eventually torn down and replaced with “modern” structures, taking away significant landmarks we once measured ourselves by. Alas, the steel plant, too, has been consigned to the ages, taking away all those jobs that housed a now absent population. I get it. Change happens. Like any living being, societies, organizations, and cultural eras possess their own unique life cycle. That’s natural. What kills me, though, is when a few misguided, often greedy, people, decided to hasten natural in, well, an unnatural way. Such is the story of the rise and fall of Major League Baseball. I returned to the Baseball Hall of Fame this weekend. 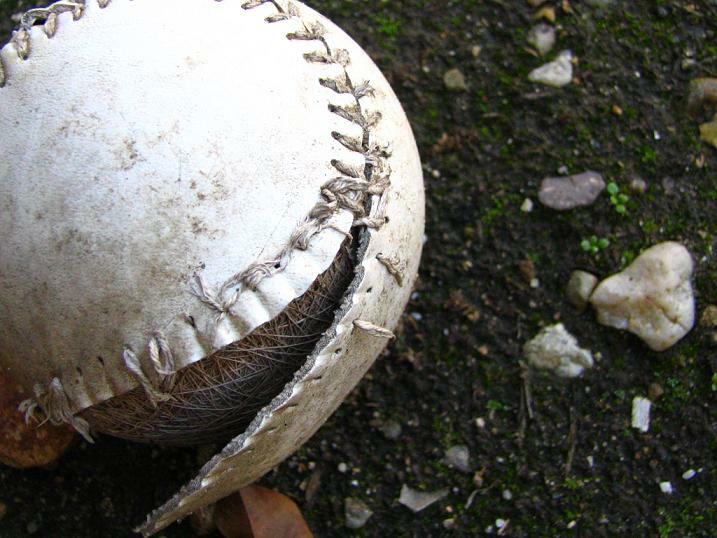 Sadly, there’s no better evidence that America’s pastime is past its time. Once children could walk through the glories of baseball’s humble and honest magnificence, mostly told in grainy black & white pictures matched by the equally grainy recordings of old-time radio broadcasts. In these frames of history we learned the classic myths of the game. I say “myths” even though many of the old stories were mostly true. But they were at one time retold in a manner that evoked legendary status. Few of you might remember Grantland Rice, a renowned sportswriter known for his inspirational style. He helped create many of these myths. Perhaps instead you remember Ring Lardner. He was one of the first sportswriters who suspected nefarious activities in the now infamous Black Sox scandal of the 1919 World Series. Despite this, he never let the horrible truth of that event get in the way with his respect for the game. To him, the myth of baseball proved more important than the reality of a group of players placing personal gain ahead of pure sport. Don’t get me wrong. I find the true story behind the movie A League of Their Own fascinating. The need to create a woman’s league due to the shortage of men on account of World War II makes great history. For many reasons it should be remembered. That story should be told and it should be memorialized in Cooperstown. But to devote more space to “women in baseball” (mostly executives, mind you), speaks of gratuitous platitude. Tell us about the women who play the sport, not the non-athletes who appear to be there only because they are women. It makes me cringe in the same way I cringed whenever I saw some “milestone” marking the first “Italian-American” to do whatever. It was an insult to my heritage. For the record, I also cringed at the Eddie Gaedel exhibit. He was Bill Veeck’s promotional idea. Recruited from his job as a bartender at a place called “The Midget Club” and wearing the number “1/8” on his uniform, the 3 foot 7 inch Gaedel was walked in his only plate appearance. He wasn’t an athlete, he was just a sideshow, and that’s the same feeling I got with much of the women’s exhibit. As for the international and Cuban exhibits, all I have to say is “Why?” Assigning more floor space to these two mostly irrelevant exhibits than to the legendary heroes of Baseball’s golden era tells me the curators of the Hall have something other than baseball in mind. It’s all about “expanding the base” you see. With an adult admissions fee of $23 dollars, you can see why they might want to expand that base. The good news, it cut down on the amount of time I need to spend in the Hall and I was able to make it home (almost) in time for Saturday Mass. Worse, the Hall of Fame dedicates a larger space to its overt worship of the almighty dollar. It has a running scoreboard of the estimated dollar value of each major league team. Besides the wall-sized listing are more mural sized depictions of the story of baseball’s employee relations matters, ranging from the collective bargaining agreement to the various strikes and lockouts. It’s all about the money, you see. It’s not about the game, it’s about the business of the game. More recently, in 1989 Pete Rose was banned from baseball for life by the late Commissioner A. Barlett Giamatti for gambling on baseball games. At the time these were allegations, although Rose admitted his guilt in his 2004 autobiography. (For a contemporary view of these events, see “The Difference Between Wright and Rose,” Mendon-Honeoye Falls-Lima Sentinel, May 18, 1989 and “A Personal Reflection of A. Bartlett Giamatti,” Mendon-Honeoye Falls-Lima Sentinel, September 7, 1989). Unlike Shoeless Joe, Rose didn’t bet against his team, he bet for his team. It doesn’t matter. He was guilty of putting money ahead of the game. Ironically, although Pete Rose isn’t allowed to step foot in the Hall, if you look, you’ll find his record-breaking story as a player there. Far be it for the Hall of Fame to miss an opportunity to exploit infamy for the chance to attract more gate-paying attendance. In trying to recapture its past glory, baseball appears to have lost touch with the ethic that once made it the pre-eminent sport in America. In my day job, I constantly review publicly traded companies. I’ve studied histories of former publicly traded companies, too, just to see why they aren’t around anymore. There’s a common theme I’ve seen that often leads to poorer performance and sometimes bankruptcy. It occurs when a company attempts to “modernize” in hopes to become more attuned with the changing markets. Failure results when, rather than creating an entirely new and differentiated brand, they try to refurbish their old brand. In this latter case, companies find they will alienate their original audience and continue to fail to attract the intended new audience. This is Marketing 101. Major League Baseball fails Marketing 101. Not to worry, though. The NFL is right behind them.